DZBB (594 kHz Metro Manila) "Super Radyo" is the flagship AM station of GMA Network in the Philippines. The station's studio is located at the GMA Network Center in Quezon City, while its transmitter is located at Obando, Bulacan. Arman Roque during his radio program in the early '90s. DZBB Anchors Arnold Clavio (right) and Ali Sotto (far left) inside the studio during their radio program. DZBB was established on March 1, 1950 by Robert "Uncle Bob" Larue Stewart, in a small office space in Calvo Building, Escolta, Manila with mostly second-hand equipment and an old and surplus radio transmitter. Despite of lack of new broadcasting facilities, the station has scored many milestones with its news, senate and congress coverage, breaking news, exclusives, and blow-by-blow accounts of major national events. It also pioneered on trendsetting shows such as Camay Theater of the Air, Lovingly Yours, Helen, Kahapon Lamang, Tawag ng Tanghalan, Newscoop, Kwentong Kutsero and others. Some of these shows eventually went to television. 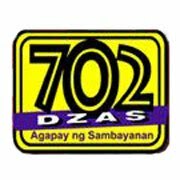 DZBB was also the first to air live coverages extended not just to news and public affairs, but also to entertainment and educational programs and in 1957, DZBB moved to the new and current home at EDSA, Quezon City. Due to the success of DZBB, Stewart ventured to television on October 29, 1961 as DZBB-TV Channel 7 with the branding RBS-7 (Now known today as GMA-7 Manila). The station seized and closed in September 1972 due to Martial Law regime. 2 years after the regime, Channel 7, DZBB and other provincial radio and television stations were eventually sold to the triumvirate of Duavit, Jimenez and Gozon. The station was known as "Bisig Bayan" during the late 1980s and early 1990s. Their new identity made the station more popular to radio listeners in Metro Manila. Rafael "Paeng" Yabut, Bobby Guanzon, Lito Villarosa, Rene Jose, Rey Pacheco, Joe Taruc, Jimmy Gil, Arman Roque, "Manang Rose" Clores, German Moreno, Inday Badiday and Helen Vela are the personalities aired on the "Bisig Bayan" format. 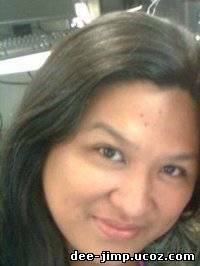 It was also in the early 1990s when DZBB came out with "Kape at Balita", a morning news/commentary/talk show hosted by Bobby Guanzon and then GMA News reporter Jessica Soho. In 1999, the station was renamed "Super Radyo DZBB" and much of their programming focuses on news and current events and still simulcast programs such as 24 Oras, Saksi and others. 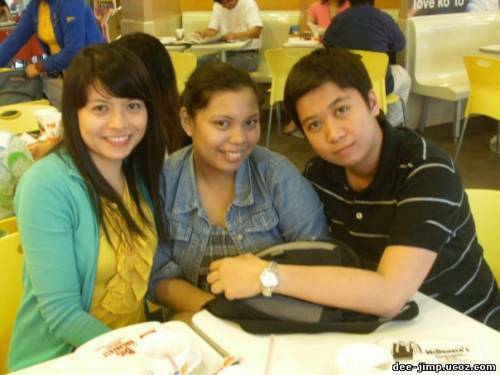 In 2010, for the first time in radio history, the two stations DZBB and ABS-CBN's DZMM made a historical simulcast when they had two children asked for help to find the missing parents from Bohol on a rival program on DZMM Aksyon Ngayon but reunited through DZBB's program Aksyon Oro Mismo. The interaction of the 2 radio stations became the first in the histroy. DZBB's programmes are mostly news, current issues, and news analysis; produced by GMA News and Public Affairs department. Their morning radio shows were anchored mostly by news anchors and personalities from television. The station also has a newscast entitled "Super Balita", four times during the day; morning, noon (both aired nationwide on all Super Radyo stations in the Philippines), afternoon and late night. They also simulcast news and public affairs programs of GMA Network such as 24 Oras, the network's primetime news program. Meanwhile, the program "Nagmamahal, Manay Gina", also known as the Best Radio Drama in the 2009 Catholic Mass Media Awards has stopped broadcast due to Manay Gina's political plans.